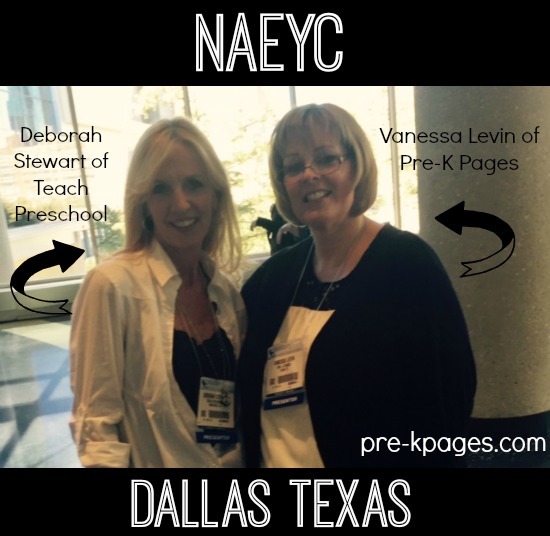 I recently had the honor of presenting at the annual NAEYC conference with Deborah Stewart of Teach Preschool. 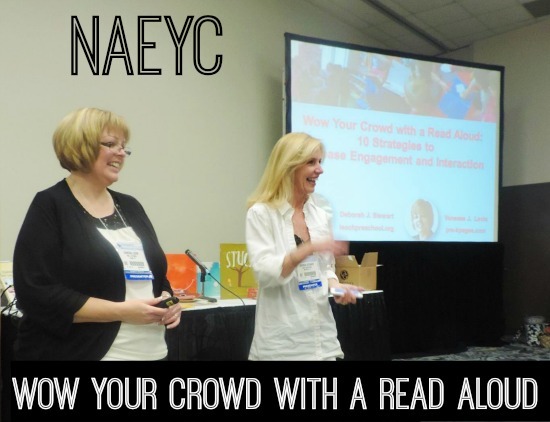 Our session title was Wow Your Crowd with a Read Aloud: 10 Strategies to Increase Engagement and Interaction. Today I am sharing the first five strategies for you below and Deborah will be sharing the other five strategies on her blog, Teach Preschool. We used two of our summer book study titles as inspiration for some of our presentation, The Read Aloud Handbook by Jim Trelease and Literacy Beginnings: A Pre-K Handbook by Fountas and Pinnell. Here are the first five strategies below. Keep reading for an overview of each strategy and then visit Teach Preschool for the other five! Stamina is the length of time children can listen to a story or look at a book independently. We all know that little kids have very little stamina! You can stretch the attention span of a child over time to help build stamina. Step 1: Start with short, engaging books and gradually work your way up to reading longer books. 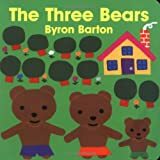 When the books you read aloud are the right length for the children’s attention spans you will have more success wowing your crowd. Step 2: Include simple rhyming books and books of classic fingerplays in your collection of short read-alouds. Short books are perfect for short attention spans! Children who have more background knowledge, or have been read to more often have larger vocabularies. 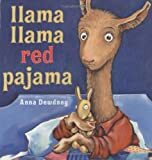 When children understand the vocabulary used in a read aloud they will be more engaged and you will be better able to capture their attention. One way to help define vocabulary words within a read aloud is to make motions for words, without interrupting the story. Invite the kids to make these motions with you as you read to help give these words meaning. 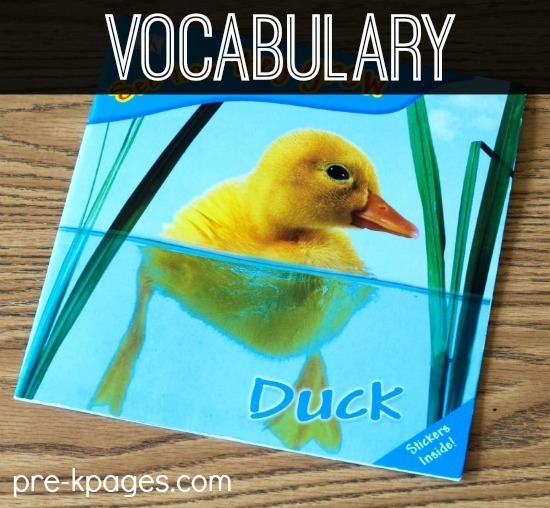 For example, if the word paddle were used to describe how the baby ducks moved their feet in the book pictured above you could make paddling motions while reading aloud. 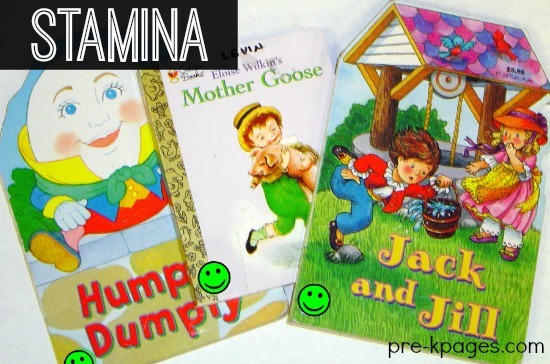 Fairy Tales and Nursery Rhymes lend themselves well to repeated reading, which helps build fluency and increase stamina. While reading the same book over and over may not appeal to the adult doing the reading, it is important for increasing comprehension and vocabulary. 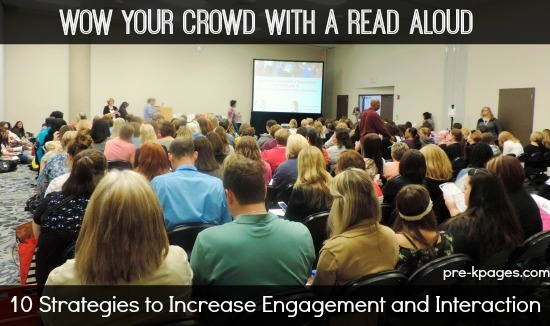 To really wow your crowd, read different versions of the same story and compare and contrast them. 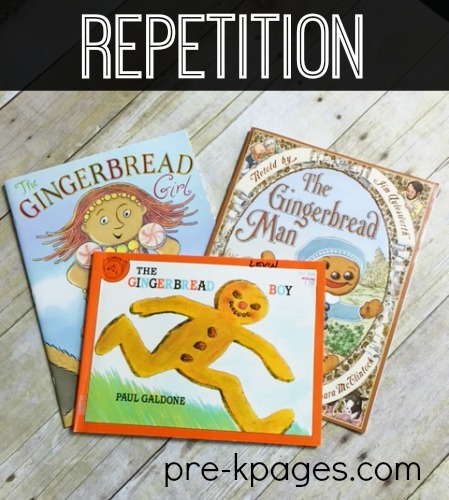 Repeated readings will lead to kids “falling in love” with a particular story. When a child really “loves” a book it opens up the possibilities for doing the same with other books, see where I’m going with this? 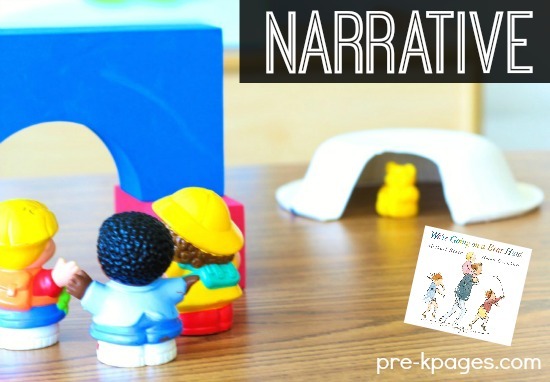 Narrating or retelling helps children understand what a story is and how story structure works. Children enjoy retelling stories independently in centers using tools and props such as flannel boards and puppets. When children are given the freedom to explore a story in depth, focusing on the aspects that are most interesting to them and embellishing details, they are having fun and developing critical skills at the same time such as vocabulary, comprehension, oral language, and story structure. 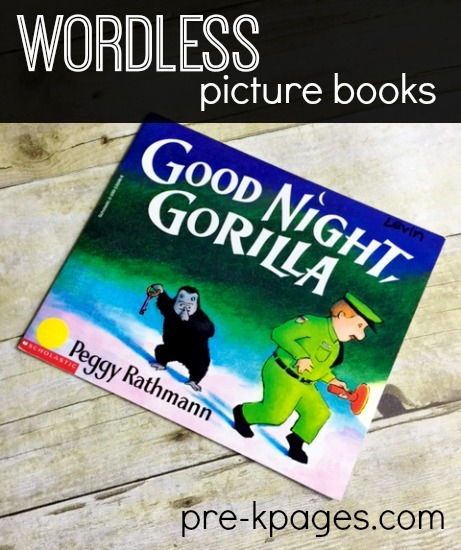 Don’t be fooled by the lack of words in wordless picture books, they actually have great value in the process of learning to read and write! Jim Trelease was kind enough to answer our questions about the benefits of wordless picture books here. Nothing is more interactive, motivating, and engaging than inviting a child to tell you the story they see in the pictures using their own words. It was great to finally meet Deborah in person! We’ve been chatting and collaborating online for years but have never met face to face. We also met up with other bloggers the night before our presentation, great fun! Follow my Book Activities board on Pinterest for more great ideas!